With a gentle heart, unwavering commitment, and a great sense of humor, Gordon “Jack” DeWitt lived life with humble devotion to the family he so deeply treasured. 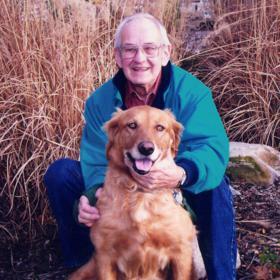 Jack loved nothing more than sharing time with loved ones, being outdoors, and his trusty canine companions. He embraced each day as a gift and each person with a warm smile. Loved and revered by many, Jack will be long remembered and deeply missed. Despite the obvious gloom of the Great Depression, 1931 beheld a power of hope that undulated in the hearts of many. With a natural drive to not just endure but thrive in the face of uncertainty, the nation continued to put one foot in front of the other to build a better future. Nowhere was there a greater sense of hope than at the home of William and Nancy DeWitt on Arianna St NW as they welcomed their son Jack into their family on November 22nd. 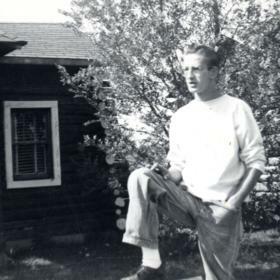 The youngest of the DeWitts’ five children, Jack grew up in a very active home. While their father provided for the family with his work at American Seating, their mother worked as a homemaker. Like many in his generation, Jack grew up in a time of great need that led to resourcefulness, generosity, and firm family values. Faith was at the center of everything and the family celebrated and explored theirs as members of Berean Baptist Church. Jack attended West Leonard Elementary and later, Union High School. 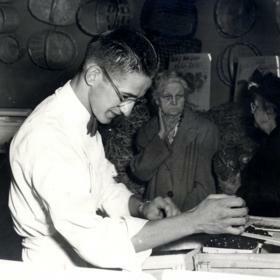 In addition to his schooling, he worked for his sister and brother-in-law at their flower market, later known as Fruit Basket Flowerland. At the end of 9th grade, Jack found full-time work at American Seating, so he left school to pursue what would become a 20-year career with the company. Jack was also a member of the Army Reserves. While frequenting the Humpty Dumpty which was the local hangout at the time, Jack had the good fortune of meeting Dorothy DeBoer. The pair were instantly smitten and quickly fell in love. Soon after, they married on April 5, 1952, in LaPorte, IN. He was 21, she was 17. After honeymooning in Niagara Falls, the newlyweds lived with Jack’s mother. A short time later, Jack and Dorothy were blessed to become parents when their son Bill was born. They moved to East Division Street and Sparta where their family grew to includes sons, Steve, David, and Gordon; and daughter, Jill. As a father, Jack was steady and even-keeled. He rarely grew angry and possessed a delightful sense of humor, but he was also incredibly indecisive. He delighted in his family and especially enjoyed making a tradition of exploring Michigan’s State Parks in his apple green trailer. The Upper Peninsula and Silver Lake grew to be favorite destinations as did the dumps where they could watch the local bears forage for food. It seemed that he was pulled over by the police on a third of the trips because his license plate was covered by a tarp. Regardless, spending time away from the city, fishing with the people he loved always proved a good time. In 1969, Jack and Dorothy divorced. Jack also quit his job and quit drinking. He began driving truck at Great North Packaging. Later, Jack worked for Colonial Packaging and then Kentwood Packaging. Though he hired in in entry-level positions at all of these companies, in time he quickly worked his way up to serve as plant manager at each of them. In his later years, Jack was involved in the creation of DeWitt Packaging, founded by his son, Steve. Fortunately for the DeWitt children, with divorce and sobriety, Jack and Dorothy quickly realized that they shared the responsibility of raising five children. Together, they consciously worked on their relationship committing themselves to work together to give their children their very best. With this commitment, they grew to be supportive partners and even good friends. They attended family events together and always showed great respect and care for one another. Later in life, they even took a trip to Hawaii together! A humble man, Jack enjoyed the simple pleasures of fishing, the companionship of a dog, catching a ball game, and bowling. 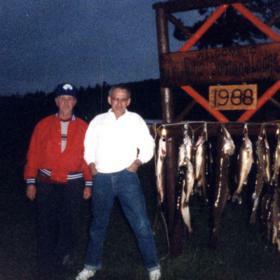 He loved to fish for bluegill and perch and spent many, many hours in the good company of his brother Bill casting their lines for panfish. Jack purchased a cabin on Lily Lake in Lake County. He really loved being up there, spending hours fishing with his beloved golden retrievers. Extra bounty was shared with his “older neighbors.” Jack enjoyed sitting in his recliner facing the lake, Coke in hand and the Detroit Tigers on TV. He also enjoyed feeding the birds and watching their colorful antics. When not fishing or hanging out at the cabin, he was a very active bowler. He played at all the local alleys and frequently bowled in City and State tournaments. He maintained a lifetime average of 176 and scored a high game of 296. Jack enjoyed Country music, especially the tunes of Alabama, Vince Gill, Johnny Cash. Later in life, he grew to enjoy Gospel music. He particularly enjoyed the Gaither Vocal Band. His favorite meal included bone-in ham, sweet potatoes, mashed potatoes and gravy, and homemade apple pie. Wherever he went, he liked to find a fruit market to check on quality and prices. Jack loved to reminisce about the “good old days” and never missed a Tigers game. His children fondly recall watching him listen to the games while sitting in the old wagon. Naturally inquisitive, Jack also liked to take things apart and fix them. He had a very mechanical mind and was always confident he could get the job done. With signature kindness and quick one-liners, Jack was always pleasant and easy to be around. This was not only a gift to his family, but also for those who cared for him during his final years. Recently at the hospital, one of the nurses asked if he was allergic to anything. Without hesitation, Jack replied with a smile, “Just women.” Though not entirely true, it inspired a laugh for them both. Recently, as his health began to fail, Jack moved in with his daughter, Jill. Not only did he benefit from Jill’s good care, but he also was also gifted with the friendship of his care providers, Harriet, Marilyn, and Vicky who all worked together with Jill to ensure Jack’s final days would be as comfortable as possible. On November 10, Jack died at Trillium Woods-Faith Hospice surrounded by his family. 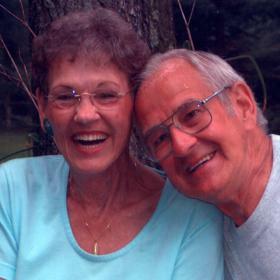 Gordon “Jack” DeWitt age 86, of Grand Rapids, went to be with his Lord on November 10, 2018. He was preceded in death by the mother of his children, Dorothy DeWitt; and his siblings, Eleanor Ekster, Jane (Andy) Steketee, Bill (Wilma) DeWitt and Lois (Bob) Tuinstra. Jack is survived by his children, Bill (Chris), Steve, David (Carrie), Gordon (Debra) and Jill; many grandchildren, great-grandchildren, nieces and nephews; and faithful golden retriever, Misty. A special thank you to his loving caregivers, Harriet, Marilyn and Vicki for their compassion shown to Jack. The Funeral Service will be held at 11 AM on Friday, November 16, 2018 at Heritage Life Story Funeral Homes, 2120 Lake Michigan Dr. NW. Friends and family will gather from 2-4 and 6-8 PM on Wednesday, November 14 at the funeral home. In lieu of flowers, contributions may be made to Paws for a Cause or North Alano Club.  Please visit www.lifestorynet.com to read Jack’s lifestory, record a memory, photo or to sign the guestbook online.